Albany Local Towing delivers the full spectrum of local towing services to its clients. We can tow any kind of vehicle you can think of, such as cars, trucks, SUV's, vans, buses, tractors, and more. The dispatchers at (518) 925-8552 are hammered with calls all day long from people requiring roadside assistance or asking for Albany Towing Services. They are available 24/7 in order to best fulfill your needs and support you in a time of crisis, especially; this includes holidays. Albany county is relatively small, so our professional drivers can navigate their way to you location quickly in the case of an emergency. We will give you an estimated time of arrival (ETA) before we leave to pick you up. Why Choose Local Towing in Albany? Albany Local Towing Services is the cheapest price around. We are proud of our low prices and the high quality service that we offer for it. With a family business like ours, you can be certain that we deliver on our promises and will do everything in our power to ensure a pleasant experience for you. Our tow truck drivers are very reliable and have been trained to deal with whatever situation you may face out on the road. We are certain that you will be content with our Albany local tow truck service and we guarantee your satisfaction. What Counts as a Local Tow? We do a ton of towing in Latham NY. 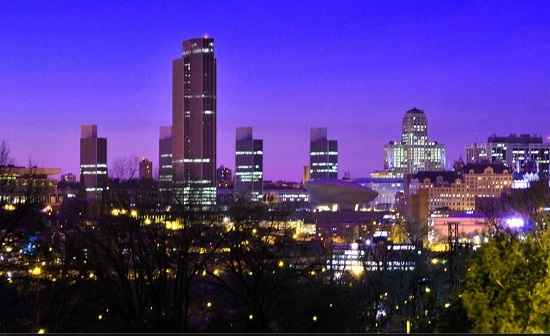 Only a few miles away from Albany, Latham is actually the birthplace of quite a few of our drivers and technicians. We used to have a lot of tow truck drivers, but we have become more selective in the past 10 years or so because we want to be able to continue offering the highest level of customer service. You can come to us when you need cheap local towing in Latham, NY. You can rest assured that you will receive a great price quote and be 100% satisfied with our speed to your location, our performance, and the overall quality of the experience. Towing in Troy NY is another popular request, since it's so close. We have provided tow trucks to the city of Troy for the past 20 plus years. Local towing services have become increasingly popular in the last few years as car accident levels have increased. That may be great for business, but not at the expense of your safety. If you get into a car accident in Troy or nearby and need towing or emergency roadside assistance, call us and we'll come to the rescue. Our cheap local towing in Troy, NY is a fan favorite because with us, affordable towing still brings outstanding quality.